DKBStrategies, Inc. is a Redlands, CA based Professional Fiduciary that works in conjunction with your Estate Plan in order to ensure your wishes are carried out according to your plan. Bethel Law has partnered with DKBStrategies, Inc., to provide our clients with the greatest all-encompassing care when it comes to assisting our clients manage their estates during their lifetimes and beyond. By combining smart estate planning techniques with compassionate asset management, we are able to provide the utmost care to our clients while ensuring their wishes are established and followed exactly as desired. While we are excited to offer this service to our clients, availability is currently limited. Curious what Bethel Law and DKB can do for you together? Simply book a free consultation here or call us at 909-307-6282 to learn more. Marge Fittante of Advocate 4 Medi-Cal Assistance helps people understand that they’re not alone when it comes down to getting approved for Medi-Cal. Bethel Law Corporation has partnered with Advocate 4 Medi-Cal on hundreds of cases over the past decade in order to ensure our clients’ estates are structured perfectly so they may qualify for Medi-Cal benefits. Advocate 4 Medi-Cal knows how hard it is to get approved through the regulations and hearings and have helped over 1,000+ clients through the approval process. As an ex-county worker for the state of California coupled with her experience guiding clients for over 25+ years, Marge knows what it take to get her clients approved. Curious what Bethel law and Advocate 4 Medi-Cal can do for you together? Read more on Medi-Cal here; book a free consultation here or call us at 909-307-6282 to learn more and save your estate. 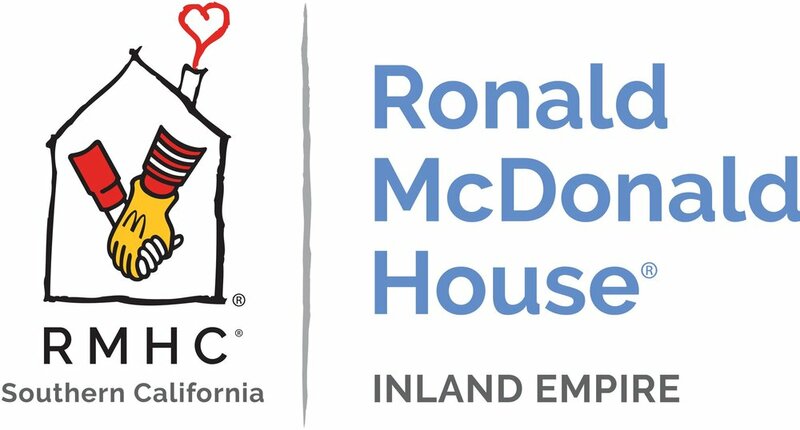 The Inland Empire Ronald McDonald House provides a "home away from home" to families while their children receive medical treatment at Loma Linda University Children's Hospital and other nearby hospitals. Since opening on September 11, 1996, the House has served more than 18,000 families and supports more than 54 families each night. Room requests are sent based on diagnosis and distance. Each family is considered on a case by case basis based on room availability. A contribution of $12 per night is requested to stay at the Inland Empire Ronald McDonald House. However, no family has ever been turned away due to inability to pay. The House is able to support many families through the backing of local community partners and from the generosity of donors. If you would like to make a donation, you may do so online by following this link.